Allergic conjunctivitis is frequently found in pediatric patients and adults. It is usually seasonal, most often the spring and fall. Although often associated with allergic rhinitis, allergic conjunctivitis may occur without systemic symptoms. 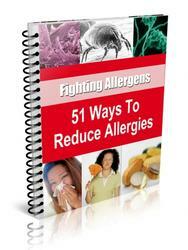 There is an increase in itching, redness, and swelling, which is variable from day to day. Seasonal allergic conjunctivitis is related to tree and grass pollens, each of which has a distinct season and severity. The condition may be asymmetric. Chronic allergic conjunctivitis is most often related to various indoor allergens, including dust mites, animal dander, molds, and cockroaches. Cats are especially irritating to the eye for the allergic patient. Treatment for allergic conjunctivitis involves avoidance procedures for outdoor allergens, keeping windows closed at night during allergy season, and eye protection (even sunglasses can reduce exposure to allergens). Washing the face after coming indoors, washing the hair when showering, and keeping the patient's hands away from the eyes can reduce allergen exposure. Bed linens should be washed weekly. Occasionally, allergy testing and allergy shots may be necessary in severe recalcitrant cases. Symptomatic treatment of allergic conjunctivitis includes cool compresses, artificial tears, and over-the-counter (OTC) antihistamines. Topical antihistamine-decongestant combinations include naphazoline hydrochloride/antazoline phosphate (Vasocon-A) and naphazoline hydrochloride/ pheniramine maleate (Naphcon-A), which are reasonably safe and effective. However, rebound vasodilation can occur and cause chronic hyperemia and conjunctival injection. Cromolyn sodium 4% and olopatadine hydrochloride (Patanol) are effective mast cell stabilizers. Ketorolac tro-methamine (Acular), azelastine hydrochloride (Optivar), and lodoxamide tromethamine (Alomide) are also reasonable options for managing allergic conjunctivitis. Systemic allergy medications may cause allergic conjunctivitis to manifest because of reduced tear film production.